MRI-STaR supports and realizes scientific projects together with universities, funding institutions and commercial enterprises. Intermediate and final results of projects are listed in publications. In close cooperation with MR:comp as a permanent partner and testing service provider, our research is supported by professional testing procedures and can be verified under realistic conditions. The project connects medical technology, the game industry and research institutions to increase the well-being of patients during medical examinations by using modern entertainment technology. 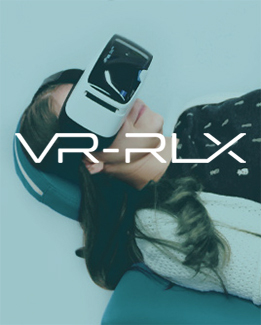 The aim of VR-RLX is to develop a virtual reality system (VR system) to reduce anxiety and stress in children during magnetic resonance imaging examinations. For further information and the current status of the project please visit the official project homepage. 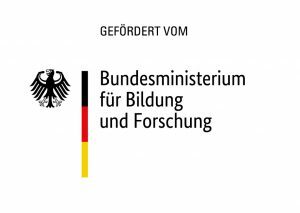 This work is supported by the Federal State of North Rhine-Westphalia (NRW, Germany) and the European Union within the framework of the European Regional Development Fund (ERDF), funding code ERDF-0800504. Retinal implants can help blind people to regain a part of their sight. The energy supply of the special microchip currently requires a cable that is routed through the patient’s eye wall. This surgical procedure is complex and can lead to complications. With the use of innovative microelectronics this situation can be improved considerably. By using light impulses instead of a cable the retinal microchips will be controlled via “light bridge” in the future. This would not only mean an improved patient care, but also a better implant durability and an optimized MR Compatibility of the implant. Further information can be found on the official website of the Federal Ministry of Education and Research. Copyright 2019 MRI-STaR. All rights reserved. Powered by WordPress. Theme: Suffice by ThemeGrill.